This week’s episode is POWERFUL. This week, you are going to meet Lydia Slaby. Lydia is an advocate, speaker, and writer focused on empowering people, communities, and organizations faced with daunting change. 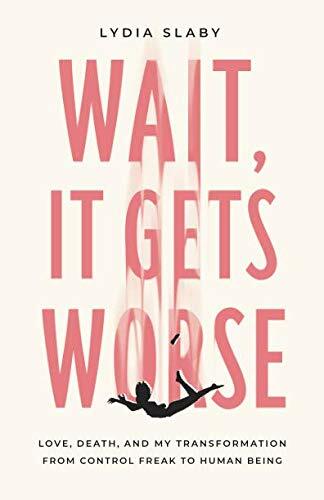 She is also the author of the brand new book, “Wait, It Gets Worse.” In this book, she shares her story of battling non-Hodgkins lymphoma and the clarity and life lessons she gained from that experience. The importance of knowing what is and isn’t important to you, and the simplicity it brings to your intentional decisions about how to spend your time and who to spend it with. What radical responsibility looks like when you’re battling cancer. Does it still apply? The importance of nurturing your body, mind, and soul. How we all can approach life in a more intentional, straight-forward way. This is such an impactful episode, and I can’t wait for you to meet Lydia. It’s time to live like your lives depend on it, friends, because they do!